The Volac ESC Volac MS was released in 2004 was well-liked by the R/C racing crowd thanks to its high-performance and user-friendliness. A new model of this ESC is now being released with quite a few improvements. 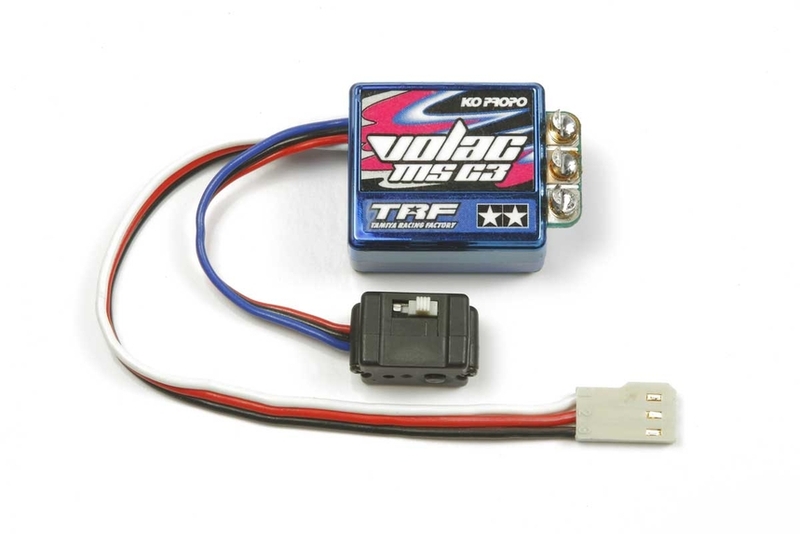 Features the same physical size as the Volac MS, but is 18.8g lighter for greater weight savings. Compatible with frequencies from 900Hz to 12kHz (KO Propo setting adapter may be needed). ESC is programmed with input from TRF driver Satoshi Maezumi for a special default setting.